An African man who had become a radiant Christian believer was afflicted by the dreaded elephantiasis disease. This loathsome condition hardens and enlarges the flesh of the lower legs and feet so that they often appear as solid columns of flesh from the knees down, sometimes twelve to fifteen inches in diameter. It is a painful and restrictive condition, making simple walking a laborious challenge. But the man was so appreciative of the grace of God t hat had come into his life that he thought nothing of the pain of his condition. He went from hut to hut in his village, sharing the good news of the gospel, knowing that none could believe unless they heard the gospel. 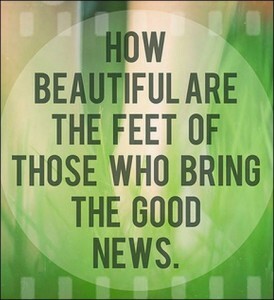 He shuffled and hobbled on his afflicted limbs day after day until all had heard the good news. He began a painful, daily trek to a village two miles distant, not being able to bear the thought that some were there who had not heard the gospel of the grace of God. He would start early in the morning and walk to the nearby village, go from hut to hut, and then walk home. This process he repeated until every hut in that village had received the good news of the gospel. He then began the trek to another village 10 miles away. It took him until noon to make the trip. When he arrived, his leathery stumps were bloody and swollen. Not wasting time even to eat, he spent the rest of the day in the village going from hut to hut telling people about the grace of God. The sun was setting when he set out for his own village. Somehow he made it through the pitch-black jungle, falling upon the missionary’s porch at midnight. The missionary, who was also a doctor, summoned help and they lifted the poor, semi-conscious man into the dispensary. The doctor related later how he bathed the feet of this man. 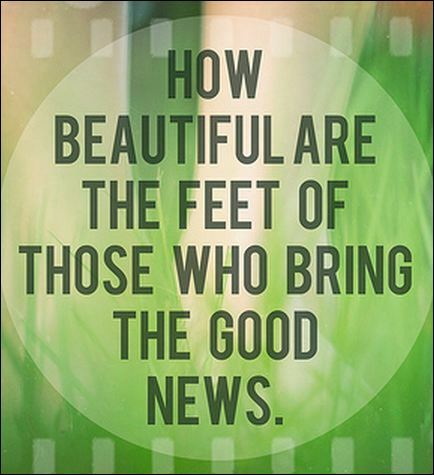 He truly lived out Paul’s words in Romans 10:14 “And how can they hear without someone preaching to them?” Feet that in the eyes of the world could best be described as horrific had become the beautiful feet of one who brings the good news (Rom. 10:15).